The world remains gripped by the revelations made in the papers leaked from Panamanian law firm Mossack Fonseca. But Moscow has greeted the coverage with what might be characterised as calm indifference. Aware that president Vladimir Putin would be linked to offshore schemes, the people around him began their PR manoeuvres ahead of time. The week before the papers were released, the Kremlin was forewarning the public about an imminent “information attack aimed at destabilising Russia in light of its success in Syria”. The reaction of the Russian individuals mentioned in the Panama Papers – at least those who have gone on record so far – has also been calm. Some have denied knowledge of ownership of any offshore accounts. Considering the way offshore structures operate and set up, is not an implausible proposition. Others queried the authenticity of the documents (which is easy, as not all of the original documents have been presented). Some have admitted an earlier relationship with an offshore business but have said the company in question had been sold or shut down. Again, that’s not an odd claim considering that many offshore shells survive as empty, or fossil corporations after their corporate parents have no further use for them and don’t want to go to the expense of shutting them down. The Russian public is unlikely to be particularly affected by these revelations either. Corruption is endemic in the country and people are well aware that the ruling elites indulge in bribery and creative accounting. This knowledge has yet to engender any change, although it’s worth noting that the “ruling elites” are firmly separated in public minds from the persona of the president, who tends to be seen as an arbiter and a protector. Nor are the papers particularly revealing to analysts of Russia’s economic and business environment. 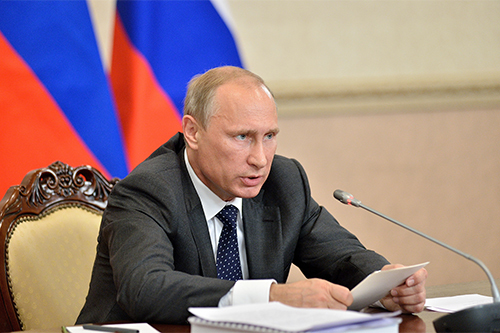 It has long been known that the Russian economy is de facto controlled by offshore structures. Russian official statistics confirm that since the early 1990s, the lead FDI investors into Russia have been Cyprus, Luxembourg, the BVI, Netherlands, Ireland and Bermuda – countries that offer minimal or nonexistent tax and lax regulatory rules to overseas entities. Even if some people are surprised by this investigation, it can easily be spun as an anti-Russia attack from the West. It will not have gone unnoticed that the Western press does seem to have singled out Putin in covering this story. It was his name in the first headlines, even though the leaders of many states, celebrities and business tycoons are also implicated. The only surprise in the Russian context is the Panama connection. The country does not usually appear in the list of Russia’s “official offshore” destinations for capital flight (and accordingly, foreign direct investment origins). But, even so, the link to an obscure firm in distant Panama makes these revelations somehow more remote from the daily concerns of the Russian people. The term “offshore” is vague to an ordinary person, and it is difficult to disentangle complex language of transactions, registration documents and credit lines. Inside Russia, corruption often assumes a closer and uglier face. Considering that the public has been tolerating and even facilitating its growth, it is unlikely that they will become closely interested in an international investigation of a Panama law firm. The files will provide an important record, but are unlikely to trigger any political reaction in the near future. It is reasonable to assume that the risks (and therefore, costs) for international partners of doing business with Russian counterparts will rise. But the size of these new risks depends on the severity of measures imposed by the world’s major powers in their fight against tax havens. Several states have already announced official investigations into the entities mentioned in the Panama Papers, but as has been noted, the real impact is to confirm what we have long known – that tax havens and offshore finance provide a vital anchor to the global economy. It is not a new revelation by any means, but the scale, scope and the specific role of Panama – a highly secretive tax haven – is now confirmed by the massive volume of data released to the public. We’ve also learned that the word “oligarchy” should perhaps not only be readily associated with Russia. The concentration of political power among a wealthy few looks more like a global pattern than ever. Anastasia Nesvetailova, Professor of International Politics, Director of the Global Political Economy MA, City University London. This article was originally published on The Conversation. Read the original article.